Real Madrid will be without the injured Gareth Bale for the first leg of their Champions League semi-final clash against local rivals Atletico. But Cristiano Ronaldo will be looking to add to the record 100 goals he has scored in the competition. Zinedine Zidane knows the Galacticos need to be wary of the team they beat in last year’s final. He said: “It’s a team that always troubles us, just as many other teams. 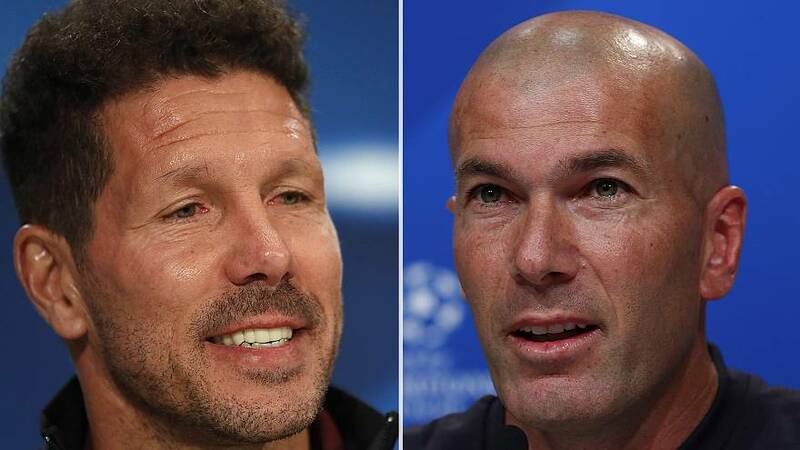 Real have knocked out their neighbours in the last three European campaigns, but Diego Simeone’s team have matched them in domestic competitions. Atletico’s preparations have been hampered by injuries in their defensive line-up, with Jose Gimenez and Juanfran likely to miss out. Simeone expects a tactical battle over the two legs. He said: “I hope this one will be a well fought match but a game in which we know to take advantage of the spaces, if they allow us. “Because maybe they will speculate with the game, knowing that the second match is in our home and the goal scored away is always more important, and the rival, accustomed to scoring goals, has the possibility to take advantage of this”. Juventus travel to Monaco on Wednesday for the first leg of their tie, and the reverse fixtures will be next week. The final will be in Cardiff on June 3.